We address managers and colleagues in organisations who want to achieve high levels and keep a balance between efficiency and the quality of life. Conditions of an efficient and healthy organisation are created by the Developmental Leadership. The trust in the Developmental Leadership makes performance and results high with a low stress-level even when the organisation and the colleagues are under great stress. Depending on your qualifications we develop your organisation by putting our attention on the various processes of the learning situation. Leadership and Colleagueship improve by getting new insights, new competence and new tools for your workday plus a deeper understanding for different perspectives through exchanging experiences. We have developed methods and tools which are in accordance with our way of relating to the development of people. Would you like to improve the relations and the solidarity in your team? SDI is a method of mapping the various issues which in a pedagogical way helps people to understand different individual behaviour and consolidates the team´s relations. The overall goal for people is to do things which make them feel valuable and appreciated. SDI makes matters which are important and motivating to people more obvious to those around them and that is when the ability to work together as a team improves. Is your organisation capable of handling a crisis? We test your ability and teach you how to handle and lead your team in a crisis. Our aim is to train management and leadership during a crisis by means of practising under realistic threats and to create conditions for the organisation to continue to develop its ability. We address all types of teams in trade and industry and public services that wish to improve and work more efficiently together. Team-building gives new teams security and guidance to move forward and it gives existing teams new energy and satisfaction in their work. is a new pioneering training which addresses managers and leaders in organisations and companies that wish to improve their leadership and reinforce their role as managers. The course is based on the latest research and the latest application to leadership. Developmental Leadership is used as a model for the leadership in the Armed Forces and some public services and nowadays it is a popular training for managers and leadership within trade and industry and public services. 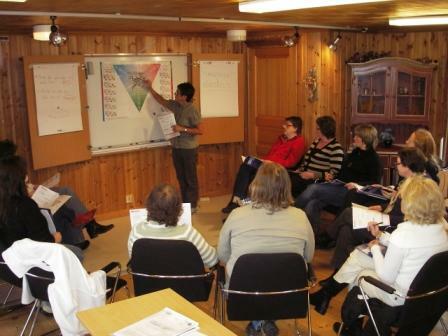 Sweden´s most frequented leadership training is a very popular course with the public services and the trade and industry. It addresses managers and leaders who want to discover and learn how leadership and dynamics affect the group.